There are several groups of devices which enable students to learn and research diverse robotic topics. List of currently available equipment in ETF Robotics Lab is given in the table, below the text. Besides described manipulators and mobile robots, our laboratory is supplied with additional equipment (NI CompactRIO platforms, dc motors, sensors, potentiometers, etc.) necessary for various projects. The ABB IRB 120 belongs to the ABB’s new fourth-generation of robotic technology. It is the smallest multipurpose industrial robot ever produced by ABB, weighing only 25 kg. 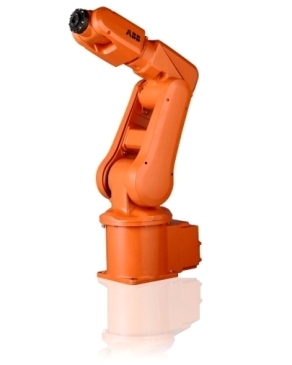 IRB 120 is a six-axis robot, with a payload of up to 4kg, and reach of 580 mm. It is ideal for a wide range of industries, such as: pharmaceutical & medical, electronic, food & beverage, research sectors, etc. Along with the IRB 120, IRC5C Compact industrial controller is used in our laboratory. 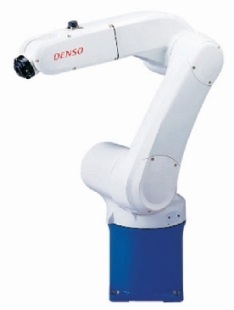 Denso VS6577G robot is a part of VS series of robotic manipulators. Arm weight is 36kg, payload is 7kg, and reach is 854mm. It can be used for various applications, such as: assembling, material handling, packaging, etc. It comes with the RC7 controller. UMS2 is a cylindrical configuration robot. 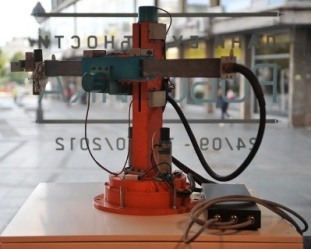 Presented in 1982., it is the second industrial manipulator ever to be developed in the former Yugoslavia. During 2008. it is completely reconstructed and since then it is actively used for educational purposes. 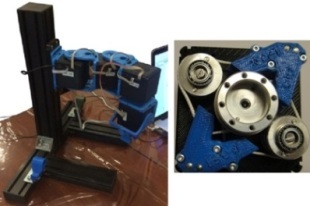 QB pick-and-place robotics Kit is a 4-axis robotics platform, developed by QB robotics (a spin-off of the University of Pisa and Italian Institute of Technology-Genoa). QBmove maker pro (robotic actuators used in the kit), are developed with the aim to move safely, and efficiently, exploiting natural principles of motion control. This makes the QB kit especially interesting and useful for research purposes. 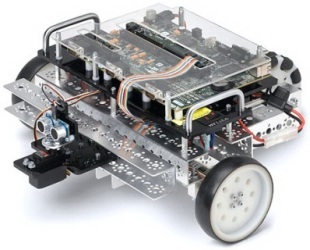 DaNI 2.0 is a three-wheeled pre-assembled mobile robot, developed by National Instruments. It is based on NI Single Board Reconfigurable I/O (sbRIO) and LabVIEW programming environment. 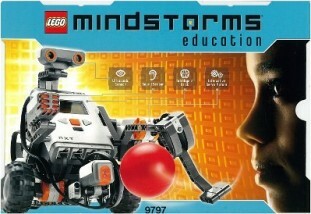 LEGO Mindstorms Education 9797 set enables students to build and program numerous robotics solutions. It is equipped with NXT programmable brick, three servo motors, and several sensors (ultrasonic, touch, light and sound). Five LEGO sets are currently available in ETF Robotics Lab.